When you’ve tried to control your weight through diet… exercise… pills… sheer willpower — and had no success — it can make your desire for a slimmer, healthier body seem like an impossible dream. Well, the problem could be specialized taste receptors on your tongue that can hijack your eating habits, and make you crave carbs and unhealthy fats. Allow you to sensibly enjoy your favorite foods — while still losing weight! This formula is designed for anyone who has tried diets, exercise, pills, and willpower — and still been unsuccessful in achieving lasting weight loss. It specifically addresses “Starch Tongue,” an overabundance of specialized carb-receptor taste buds that affect cravings for carbs and starchy foods. It’s a proven formula that helps you regain control of your eating habits and your weight — which leads to improved health, both physical and mental. 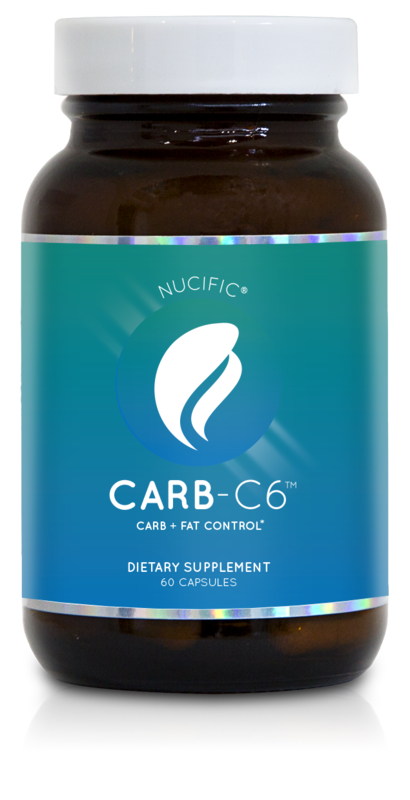 With a unique blend of 6 powerful carb and fat blockers, cravings busters, and metabolism boosters, each capsule of Carb-C6 is designed to give you maximum support to help shrink your waistline. The carb-blocking power of ID-alG™ and the weight-loss and waistline-trimming benefits of White Mulberry combine forces with a powerful trio of metabolism boosters to help make a slimmer waistline a reality. You’ll begin to feel the benefits of more energy, see the results of a trimmer body — and start to enjoy a new confidence that comes with improved weight and health. ID-alG™:A powerful concentrated seaweed extract that has been clinically shown to help reduce weight gain and limit the accumulation of excess fat. It also inhibits the breakdown of carbs and fats. White Mulberry: Long used in Chinese medicine, White Mulberry is high in fiber, protein, and micronutrients. It has been shown to dramatically improve the weight-loss results of individuals following a healthy diet. It also resulted in a reduction in waistline circumference. White Mulberry has also been shown to have a positive impact on cholesterol. Roselle: Often used as an herbal tea, Roselle has been shown to have a positive effect on blood pressure. But it is also a powerful carb blocker — especially when combined with White Mulberry. Metabolic Booster Trio: I included three of my favorite metabolism boosters — White Kidney Bean, Green Tea Extract, and Gymnema Sylvestre Extract — to supercharge your fat and weight loss results. Take 2 capsules per day, preferably before your biggest meal, or whenever you eat the most carbs and starches. Every capsule of Carb-C6 is packed with essential ingredients to help limit your body’s absorption of excess carbs and fat, control your cravings, enhance your metabolism, and help you achieve lasting fat-loss results that have always eluded you. Nucific uses third-party laboratory verification to guarantee we use only the highest quality ingredients and nothing else. However, just as important to us is what we do NOT put in the capsules. Carb-C6 was created by Dr. Amy Lee M.D. to help individuals struggling with weight loss for whom diets, exercise, pills, and willpower yielded few or no lasting results. As a bariatric physician, she has worked first-hand with patients who are having trouble losing weight, as well as the side effects they are having along the way. Carb-C6 customers across the country have given their thanks to Dr. Amy Lee. Carb-C6 was created specifically with them in mind. Dr. Amy Lee has board certifications in several areas, including internal medicine, physician nutrition, and obesity medicine. She has specific interests in nutrition, wellness, and weight management. Reviews of Dr. Amy Lee are continuously full of praise from patients whose lives have been transformed. She understands the full spectrum of lifestyle changes that must occur for successful weight loss, and has made it her mission to help obese individuals attain their weight loss goals. With the help of Dr. Lee, weight loss is something that you can achieve. Working directly with Nucific, Dr. Amy Lee designed Carb-C6 as a dietary supplement to help limit the accumulation of excess carbs as unwanted fat — and to provide a defense against uncontrollable cravings, which can lead to unintended snacking, a problem that can make it almost impossible to lose weight. But thanks to Dr. Amy Lee, weight loss can be a little bit easier with Carb-C6. How Many Bottles Do You Recommend I Order? The average order for new customers is 3 bottles, and that’s what we recommend to start. However, because we have many repeat customers, we offer the 6-bottle package so you can take advantage of our best pricing. 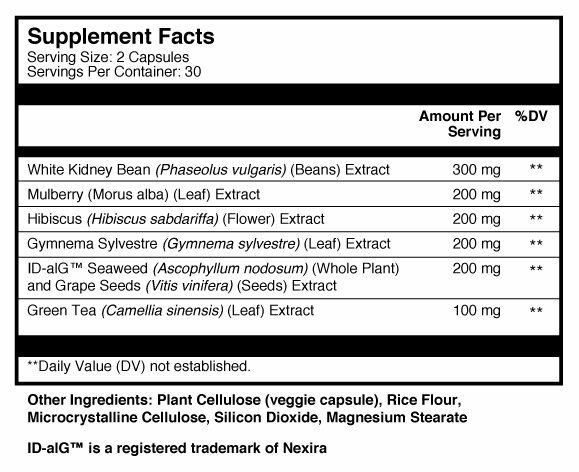 Carb-C6 contains ID-alG, Gymnema Sylvestra Leaf Extract, White Mulberry, Roselle, White Kidney Bean Extract, and Green Tea Extract. These powerful ingredients have been shown to not only block carb and fat enzymes, but to help the body activate a host of other benefits important for your overall health. How safe is Carb-C6? Are there any side effects? Now, do not use Carb-C6 if you are pregnant, because you are eating for two — and you’re supposed to be gaining weight. How should I take Carb-C6? We recommend you take 2 capsules a day, preferably before your biggest meal or whenever you eat the most carbs and starches. Our capsules are small and very easy to swallow. Everyone’s body is different, and everyone has a different level of food cravings and belly fat when they begin Carb-C6. For that reason, it is very difficult to predict exactly when you will begin feeling results. I can tell you that many people feel a difference in their energy levels in just the first few days. However, I usually suggest waiting 30 days for this carb-blocking formula to take hold to the point where you can begin to see and feel a difference in your body. We take your health seriously… which is why we’ve sourced only the purest and most potent forms of every ingredient that goes into Carb-C6. 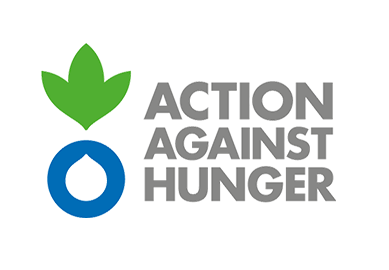 In the unlikely event that you don’t experience a near-immediate improvement in your health, and the health and vitality of your entire body, we do offer you a 90-day, no-questions-asked money-back guarantee. Can I buy Carb-C6 in stores? The answer to this one is no. We deliver Carb-C6 straight to you, the consumer, cutting out the middleman so you save money. And now, with our special new customer offer, you can get Carb-C6 at the lowest possible price. We ship Monday through Friday and usually ship within 24 hours upon receiving your order. Shipping takes between 2 and 7 business days within the U.S., depending on your location. Is my personal information safe? Is it safe to place my order online? We’ve taken all the necessary precautions to make sure your information is protected. We use the latest SSL encryption technology to ensure complete and total privacy and security. May 15 2018 I love it! Message and data rates may apply. Text STOP to opt out.